Thanks Karen Walker for the Fantastic Article!! A huge shout out to all of our amazing riders for this years Charity Cycling Ride benefiting Special Operations Warrior Foundation. This extraordinary community raised almost $7,000 for SOWF taking our four year total to $32,000. We couldn’t be more grateful, more proud or more blessed to have you all a part of PYP. Highest Donation Collected from TEAM HULBURT! WHOOP WHOOP! This event would not be complete without all of our generous sponsors so to you, good vibes, good health and thanks! E-mail Janet at janet@thepypstudio.com to register your team! Over the past two years, the PYP community has raised over $18,000 for the Special Operations Warrior Foundation!!! The Special Operations Warrior Foundation ensures full financial assistance for a post-secondary degree from an accredited two or four-year college, university, technical, or trade school; and offers family and educational counseling, including in-home tutoring, to the surviving children of Army, Navy, Air Force and Marine Corps special operations personnel who lose their lives in the line of duty. 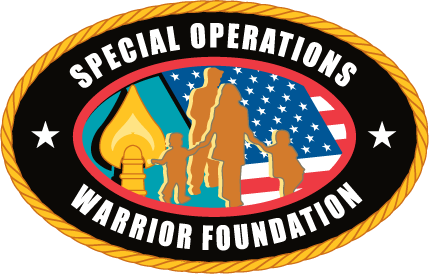 The Special Operations Warrior Foundation also provides immediate financial assistance to severely wounded and hospitalized special operations personnel. Here is what Reyes Active Body Chiropractic can do for you! If you’re looking for something to help you grow in your yoga or pilates practice, or something to improve your overall day-to-day wellness and function, please check out our article! Drs. Matt and Annie Reyes of Reyes Active Body Chiropractic offer something different to their growing base of patients. As Chiropractors, they have a basis of knowledge that enables them to diagnose and treat patients naturally and without the use of medications, but this is not what sets them apart. The use of Applied Kinesiology, an advanced form of Chiropractic that focuses on the body as a whole instead of only the spine and its nerves, is what really allows them to take their patient care to the next level. Applied Kinesiology allows for Dr. Matt and Dr. Annie to pull from a larger toolbox in order to diagnose and treat, where other doctors may become stumped. Dr. Matt and Dr. Annie also utilize Kinesio-taping, a special method of taping, to continue the healing process for their patients. The tape is an elastic, latex-free tape, but the magic is all in the application. The tape is effective for all age ranges, from children to elite athletes to the elderly. If you are someone looking to take your wellness and lifestyle to the next level, whether that means being able to wake up in the morning feeling refreshed to being able to compete with people half your age, we would love to help you reach your goals. We are happy to offer free 15-minute consultations to make sure we are the right fit for you and your goals. We came across an interesting article that we deemed worthy of a share. At PYP we believe in a healthy balance of fitness across the board, a little cycle here, some total body work outs there, some sweet and strong yoga and then some restorative classes to equal out the proportions. There is no reason why you can’t be fashionable and comfortable in your daily apparel. Dress up your workout gear with PYP’s exclusive apparel line, including hats; bags; pants; tops; and mats. The PYP BOUTIQUE also carries top brands including Lululemon, K-Deer, Onzie Yoga, Jade, Manduka, and Yogi toes. Whether you are off to the grocery store or back to work, your post workout style doesn’t need to suffer. You can continue to flare that fashion when spiffing up is as easy as shopping at the PYP BOUTIQUE! Sunday November 22nd, 18 teams, consisting of four riders each, will embark on a super special cycling journey. We will ride in honor of our fallen heroes in a charity cycle event honoring Special Operations Warrior Foundation. We are asking our teams to donate $200 to participate in the ride, but certainly encourage more if they are up for the challenge! These funds can be given straight from the riders or they can look to get sponsorships from, friends, family or local business. With such a an overwhelmingly huge success from last year, having raised over $10,000, we could not resist the opportunity to give back to this outstanding charity again! All riders will receive a Pedalthon T-shirt for their participation. Prizes are given for top dollar raised by a team and individual, top wattage produced from a team and individual rider and more! We have local sponsors on board for post ride delicious food and coffee and in house instructors assisting in a post ride stretch. In addition we have a live DJ sponsored by Nittany Entertainment for our Pedalthon Jam fest! The support from the PYP community far surpassed our expectations last year. We along with the volunteers at SOWF, are so grateful for the abundance of generosity shown and look forward to another successful year! The WHY of a Private Pilates Reformer Session! © PYP 2016. ALL RIGHTS RESERVED.